Motorists with disabilities benefit from “Darios”, a digital gas ring. This allows you to give throttle with your hands on the steering wheel. “Darios 211” consists of over 200 identical parts that slide over the flattened steel ring. These parts consist of iglidur® I3 and are manufactured in 3D printing. How does the gas ring work? The company KEMPF develops equipment in the field of special vehicle construction, to be more precise, for disabled drivers. Darios, the digital gas ring, allows a driver who cannot use his legs to accelerate with his hands on the steering wheel. 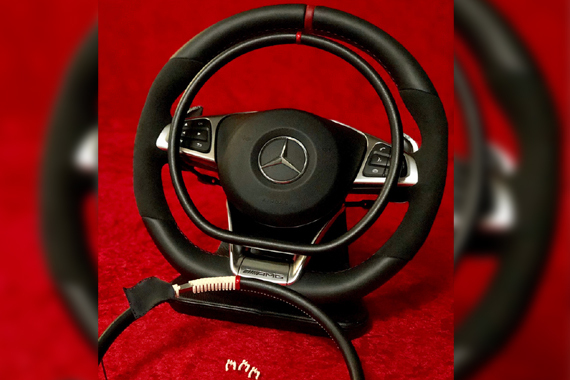 The sleeve of the steel ring must rotate freely so that the driver can easily control the acceleration when leaving a curve; the steering wheel then slides back into straight position with his fingers. 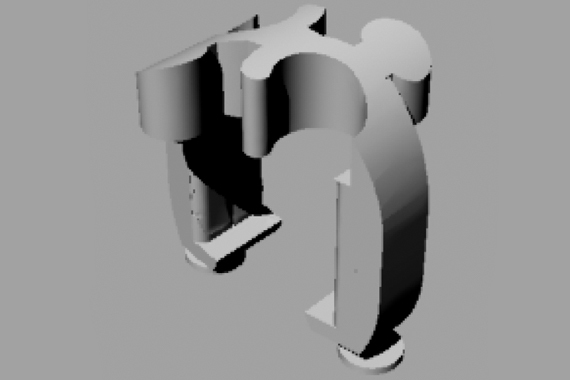 Technical drawing of one of the individual components made of iglidur® material, which glide on the steel ring. What was the customer’s problem? As long as the steering wheels were round, the case was a plastic part covered with leather. Now more and more steering wheels are flattened, so a solution had to be found to keep the sleeve turning freely over a flattened ring. A special component with the geometry of the glider by mechanical processing to manufacture was impossible. Steering wheel with gas ring on which a part of the more than 200 parts sliding over the steel ring can be seen. iglidur® I3 by the igus® 3D printing service. The most important advantage of iglidur® I3 is, that no lubrication is necessary. This is very important as the company KEMPF offers a 30 year warranty for all its equipment. The parts are covered with elastic leather. The ring looks elegant and the customers are enthusiastic.